A new take on (kosher) Chinese cuisine. When Cari Herskovitz Rosenbloom announced the soft opening for Wok In Cari Out on Memorial Day, she was stunned by the number of people who lined up to try her latest creation. Chef Cari Herskovitz Rosenbloom and her husband, Yisroel Rosenbloom. 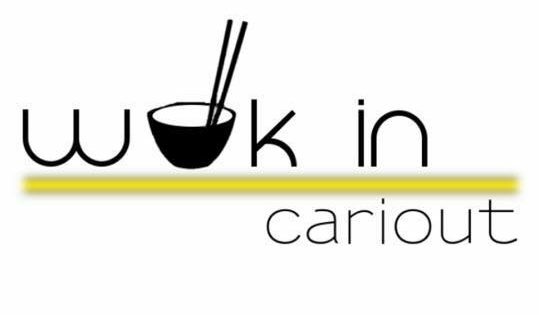 Wok In Cari Out is the latest development from Herskovitz Rosenbloom, otherwise known as Chef Cari. 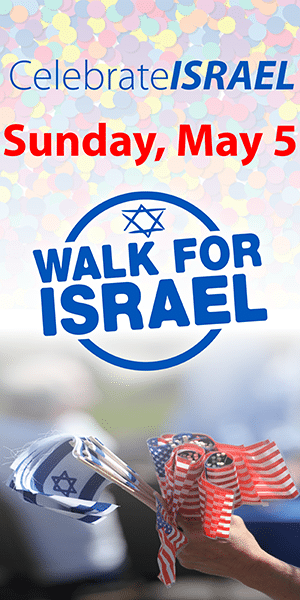 Not only does she run a successful catering business, she also established the first kosher food truck in Michigan. 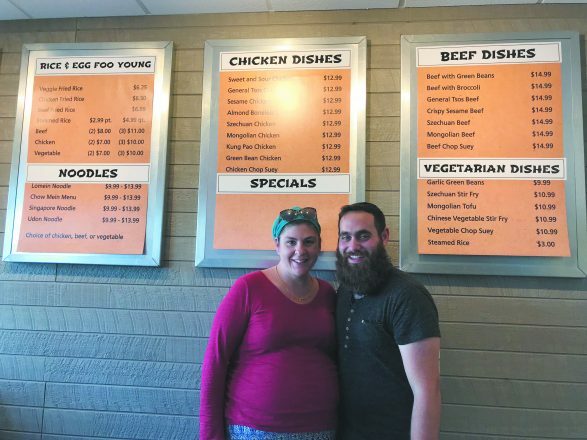 While Herskovitz Rosenbloom typically whips up tasty Asian dishes for her catering business, this time she is calling the shots at her brand-new Chinese carry-out restaurant in Southfield. Scanning the menu, you won’t find pork or shellfish, and customers aren’t missing them one bit. Glatt kosher-certified chicken and beef are the main ingredients, in addition to local produce. With a mashgiach (kosher supervisor) on site at all times, customers can feel at ease ordering take-out for either lunch or dinner. 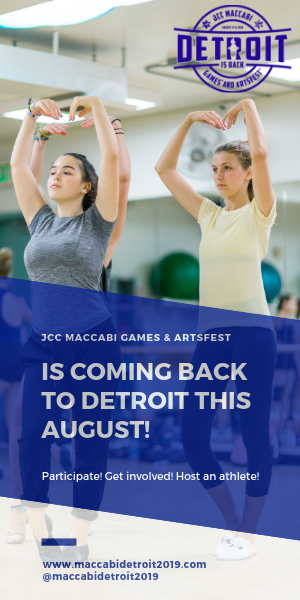 Since Herskovitz Rosenbloom keeps kosher, she has a full appreciation for the Jewish community’s excitement about this new venture. “I haven’t had real Chinese food in over 15 years,” she says. 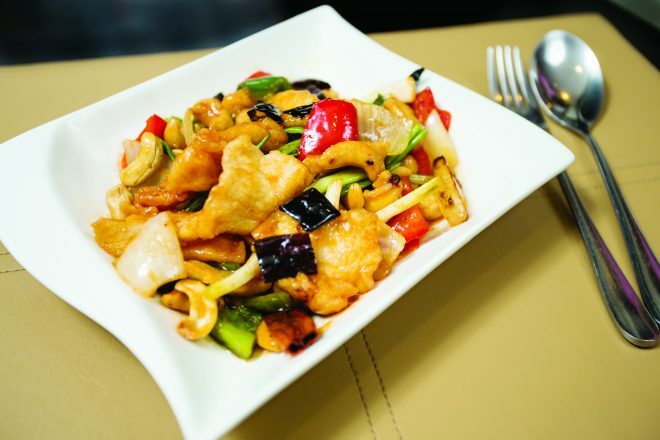 Since the opening of Wok In Cari Out, diners who keep kosher are able to indulge in their Chinese favorites, and some are tasting authentic Chinese cuisine for the first time. This seasoned chef and entrepreneur is happily taking a break from the kitchen, selecting Cantonese American chefs to take the lead. She even designed custom-built woks to ensure each dish is prepared at the ideal temperature. In collaboration with her culinary team, Herskovitz Rosenbloom created a menu filled with traditional favorites like steaming wonton soup, chicken and vegetarian egg rolls, Lo Mein and General Tso’s chicken. While Wok In Cari Out has her full attention, Herskovitz Rosenbloom’s eventual plan is to open a full-service restaurant. For now, she’s basking in the positive feedback from customers. 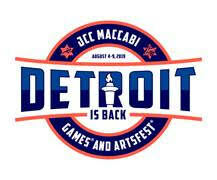 11 a.m.-2 p.m. and 3-8 p.m.
Thursday: 11 a.m.-2 p.m. and 3-9 p.m.